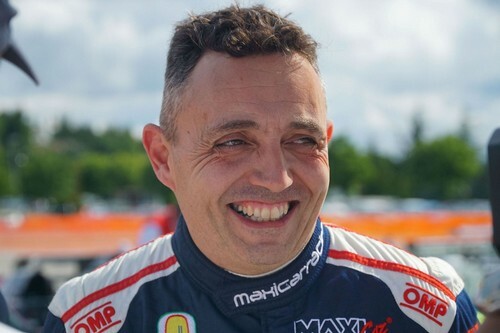 Christian Merli has taken his decision: He will seek to defend his 2018 title and take part in the European Hill Climb Championship 2019 at the wheel of his Osella FA 30 Zytek, again supported by LRM of the Petriglieri brothers for engine tuning and by Avon for tyres. Last year’s season, with its 15 victories in 20 races, was a unique one for the Osella works driver. He won the European Hill Climb Championship, the Italian hill climb championship, the FIA Masters at Gubbio and the Trento – Bondone. Christian was the first Trentino driver to conquer the European title. 6 victories in 11 races, Austria, Spain, Germany, Italy, Slovakia and Poland, not to mention the 8 new track records. With the European crown secured, he immediately switched over to the Italian hill climb championship, where he won the test race at Salita del Costo as well as 7 championship rounds out of 12, Verzegnis, Ascoli, Trento – Bondone, Sarnano, Erice, Coppa Nissena and Luzzi, breaking four more track records. To end his hill climb season, Merli brilliantly outshone his opponents winning all three runs at the FIA Masters at Gubbio, the hill climb olympics with 170 drivers from 22 countries. Finally, the icing on the cake arrived at the Prealpi Master Show, a rally in which Merli participated in a Skoda Fabia R5. He had never tested the car before, and he had a new co-driver, Anna Tomasi. They finished third overall. Why will 2018 remain unique?